4 Ways to Develop a Holistic Understanding of Big Data and Computer Science? The world of digital marketing has certainly evolved, we are now in a different place than previously. With social media rising to be in the hands of many people across the globe, we might consider this to be one of the largest changes. This article explores what we should expect moving forward. Let’s begin. Firstly, it seems important to mention that there is no exact science to digital marketing – it involves a strategy backed by experience. Without this, you can hardly expect to see positive results. Here we look over a few methods to consider. You are probably familiar with the social picture sharing site, Instagram. If you aren’t, it is highly popular. People follow their favourite celebrities, friends and those who share similar interests. Thus, it is perfect for influencer marketing, where someone naturally shows off a brand. An example might be Christina Ronaldo, he might share a picture of his new Nike football boots. This image will we seen by many followers and will ultimately see positive results for Nike. This marketing technique isn’t just restricted to social media, however. Google is the world’s largest search engine and many users reach websites after a quick search. 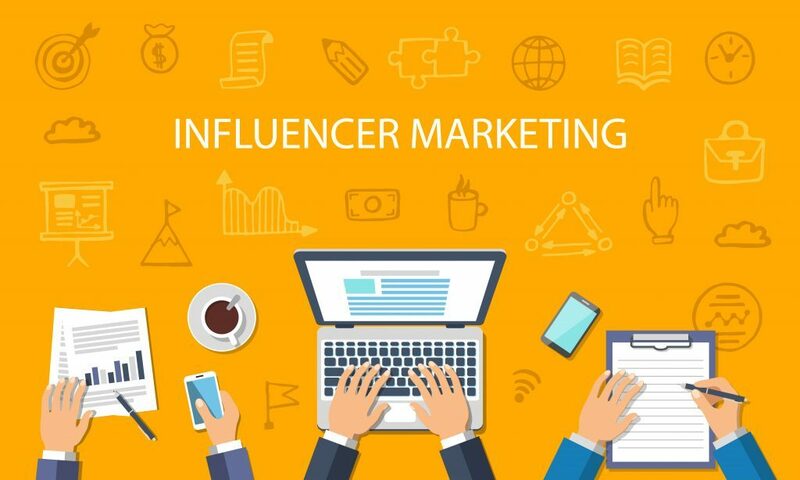 Many authors are involved with producing great content that is seen by the masses, and when thinking about influencer marketing, blogger outreach is the term involved. This translates to a brand been mentioned by an author on a website or blog, in similar fashion to that of the Instagram example. This helps to increase the authority of a brand whilst also attracting renewed attention. The same concept also applies with video creators, especially on YouTube – although, YouTube introduced rules that state the producer must alert the audience if they are promoting a brand or product, as you can see here. A business without a social media presence seriously needs a new approach. Facebook, Twitter, Pinterest, Instagram all attract a huge following and many user’s login on a daily basis. The beauty of these social networks is that they allow specific advertising, enabling for a drilled down approach. For example, an advertiser can specifically select from many variables as to who they target; gender, age, country and interests. Thinking deeper, it is also important to develop a following, this can be done by creating a page and then promoting it. You might have seen many of these silly cat videos with millions of views; think creative, going viral can be easy with some of the silliest ideas – avoid boring and typical yawn-worthy content. Sadly, social media is littered with social media bots; fake profiles. Thus, avoid purchasing a mass following from a provider. Whilst your followers will increase, they will fail to interact, and this doesn’t send out a positive message. Go the natural route and fine-tune your strategy. Of course, much attention needs to be focused on the website being promoted (if it is a website, which it likely is). Questions need to be asked, such as; is it smartphone compatible, is it search engine friendly, and is it navigation easy? Marketing a poorly made website isn’t a smart move, one should begin by looking at how their website operate before stepping further. Agencies such as ICY Digital can help by creating a high-quality website built around WordPress – this really is important if one wishes to see positive results. I recommend this agency since they’ve created some stunning websites, such as Gamerbolt. To conclude, this article has taken a look over some of the best elements to include within a digital marketing strategy. Any newcomer to the world of digital marketing is sure to employ these tips and see some great success moving forwards.